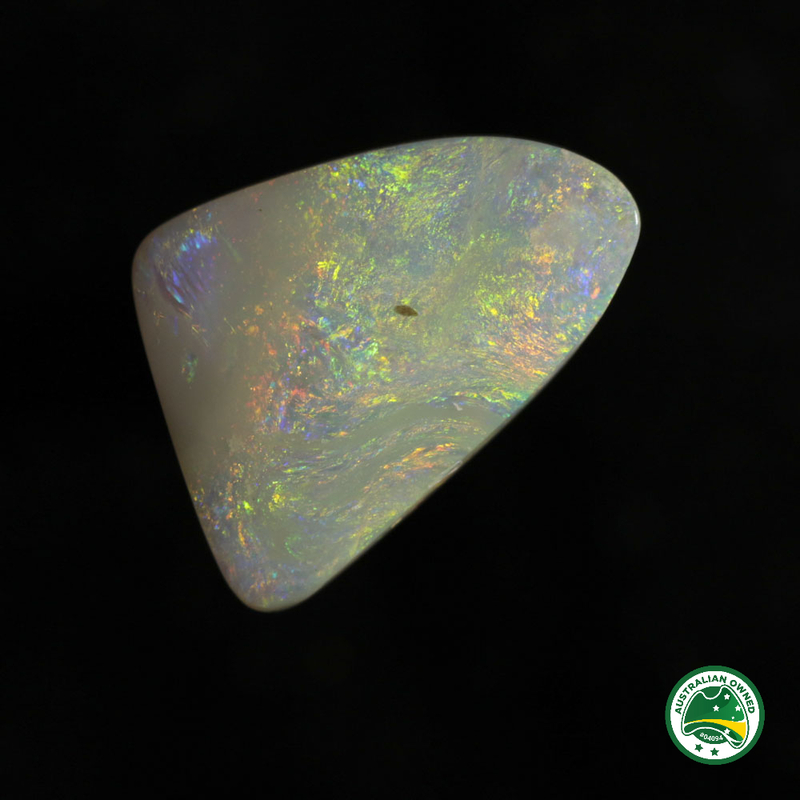 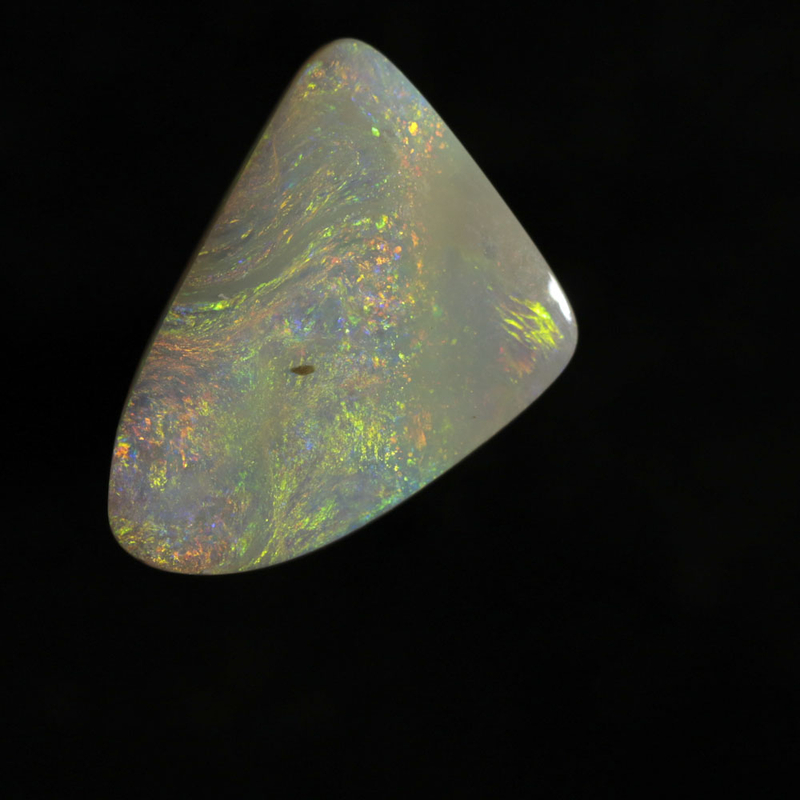 Freeform teardrop-shaped solid crystal opal. 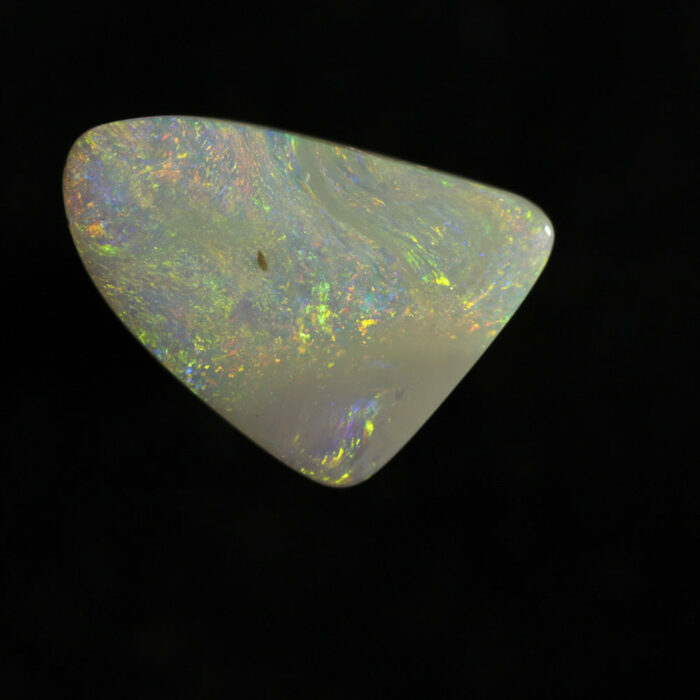 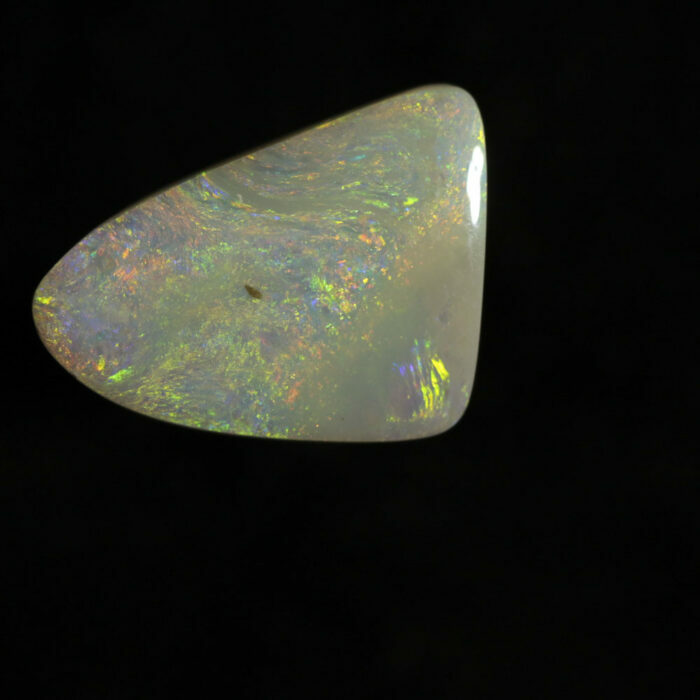 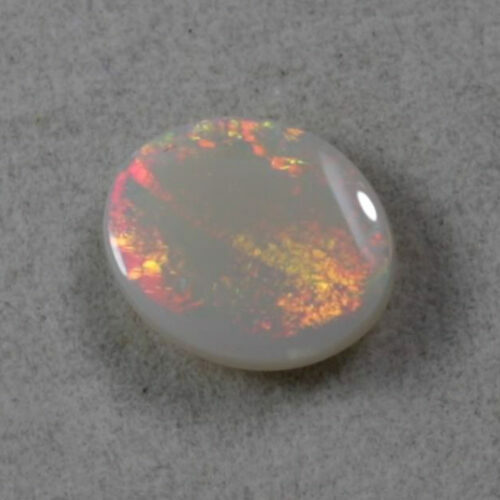 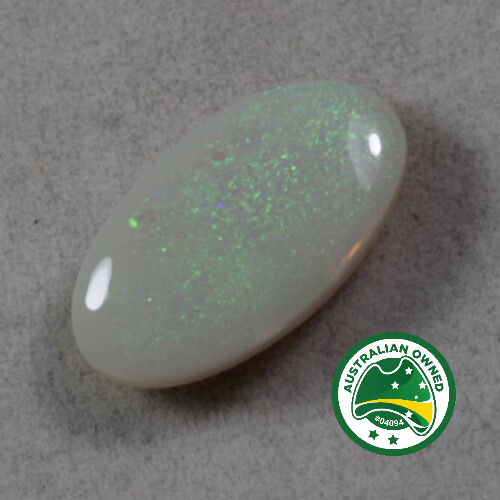 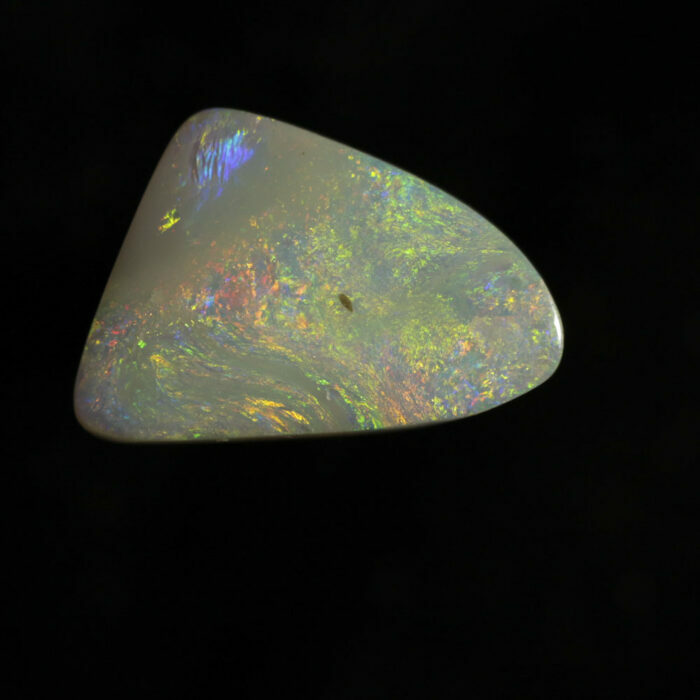 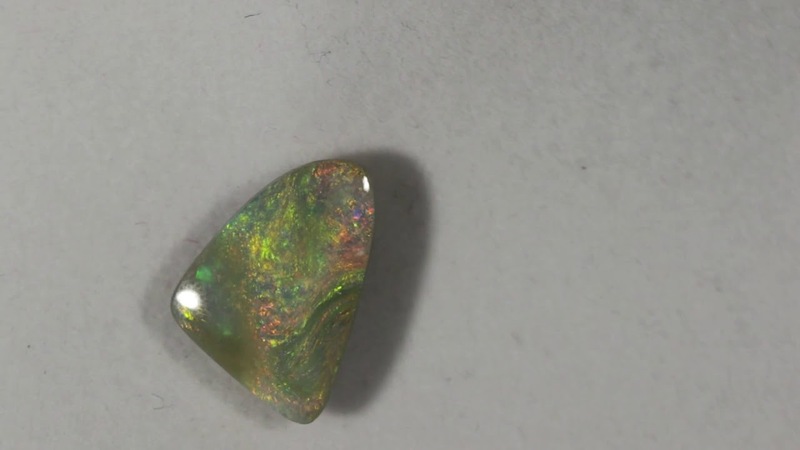 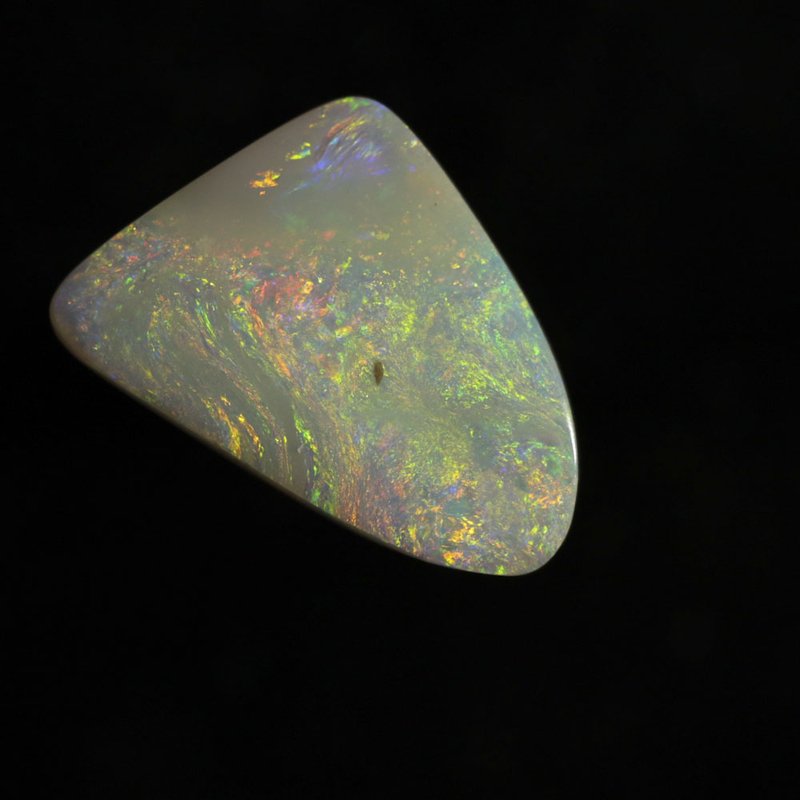 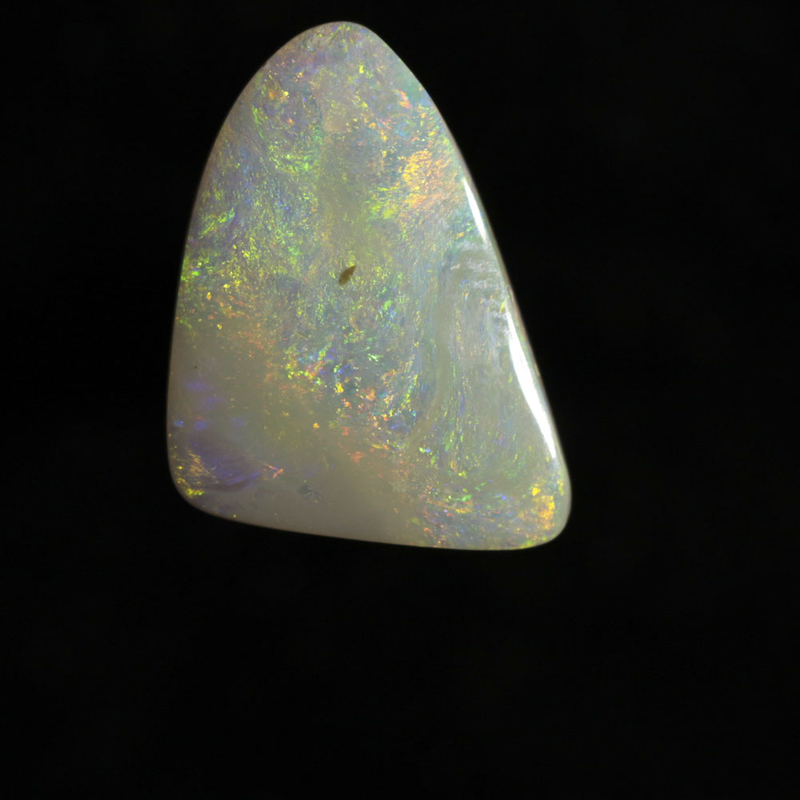 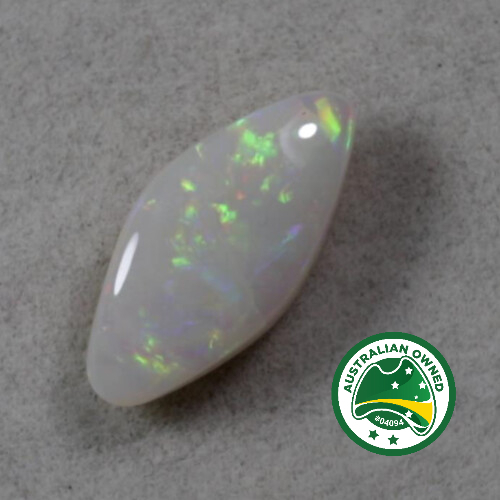 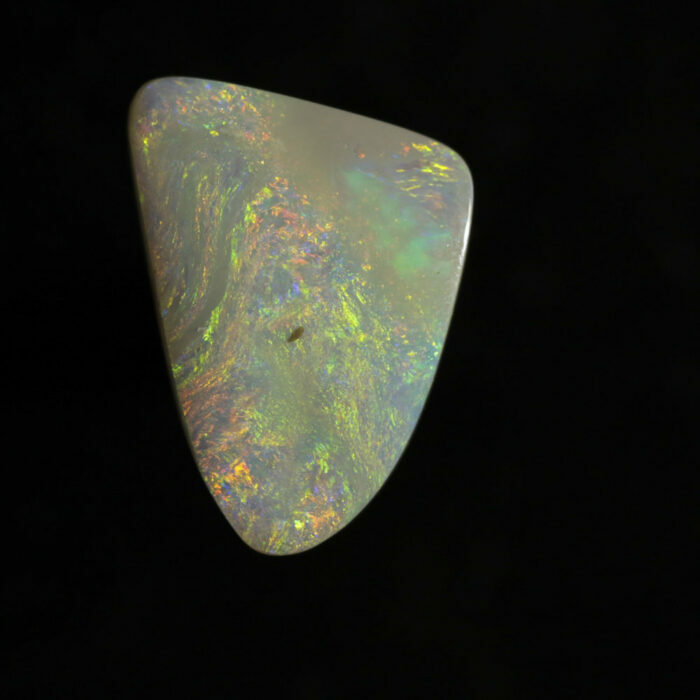 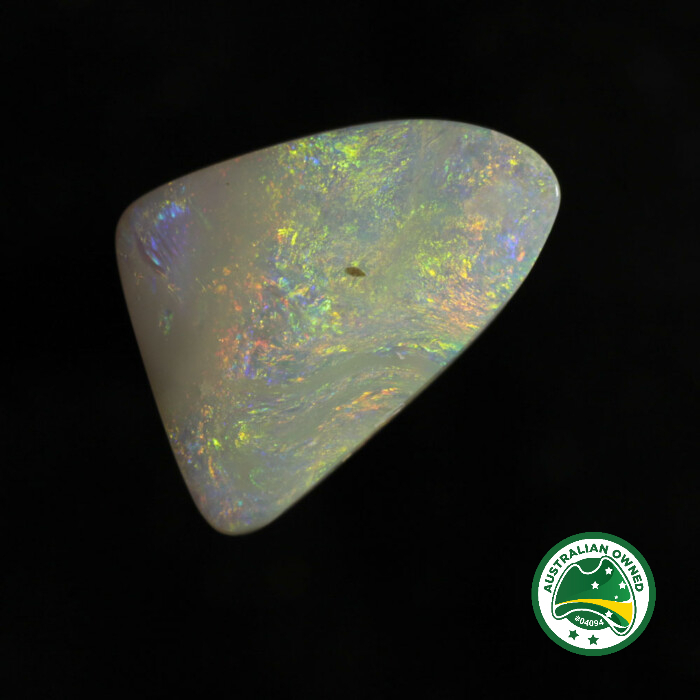 The stone has a ‘light opal’ appearance with soft green, gold, red-orange, and light blue fire in beautiful swirls. 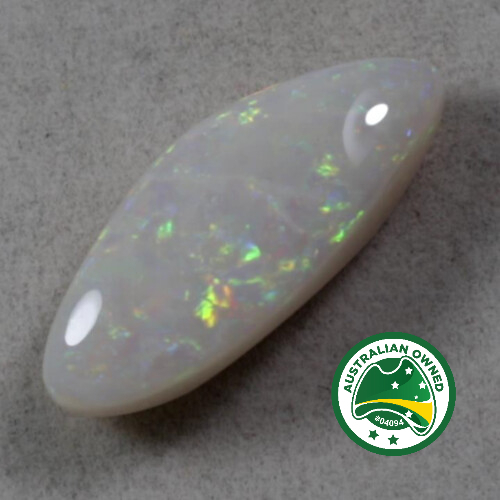 The face has been lightly carved to reveal the colour.